At the assizes at Lancaster in the autumn of 1612, twenty persons, of whom sixteen were women of various ages, were committed for trial, and most of them tried for witchcraft. Margaret Pearson was tried 1st for murder by witchcraft; 2nd for bewitching a neighbour; 3rd for bewitching a horse; and, being acquitted of the two former charges, was sentenced for the last to stand upon the pillory in the markets of Clitheroe, Padiham, Colne, and Lancaster for four successive market days, with a printed paper upon her head, stating her offence. The twelve persons already named were styled Witches of Pendle Forest. The last four were discharged without trial. The sensation produced by these trials was immense, not only in this, but throughout neighbouring counties, and Thomas Potts, the clerk of the court, was directed by the judges of assize, Sir Edward Bromley and Sir James Altham to collect and publish the evidence and other documents connected with the trial, under the revision of the judges themselves. John Harland and T.T. Wilkinson. She was a very old woman, about the age of four-score years, and had been a witch for fifty years. She dwelt in the Forest of Pendle, a vast place, fit for her profession: What she committed in her time, no man knows. Thus lived she securely for many years, brought up her own children, instructed her grand-children, and took great care and pains to bring them up to be witches. She was a general agent for the Devil in all these parts: no man escaped her, or her furies, that ever gave them any occasion of offence, or denied them anything they stood need of: And certain it is, no man near them, was secure or free from danger. This Anne Whittle, alias Chattox, was a very old withered spent and decrepit creature, her sight almost gone: A dangerous witch, of very long continuance; always opposite to old Demdike: For whom the one favoured, the other hated deadly: and how they envy and accuse one another, in their examinations, may appear. In her witchcraft, always more ready to do mischief to mens goods, than themselves. Her lips ever chattering and walking: but no man knew what. 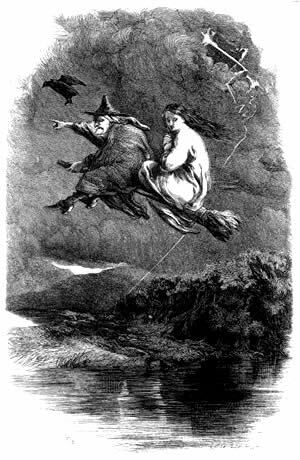 She lived in the Forest of Pendle, amongst this wicked company of dangerous witches. Thomas Potts (clerk of the court). 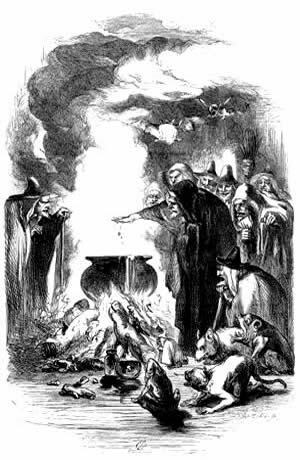 During the sixteenth century whole districts in some parts of Lancashire seemed contaminated with the presence of witches; men and beasts were supposed to languish under their charm, and the delusion which preyed alike on the learned and the vulgar did not allow any family to suppose that they were beyond the reach of the witch's power. Was the family visited by sickness? It was believed to be the work of an invisible agency, which in secret wasted an image made in clay before the fire, or crumbled its various parts into dust. Did the cattle sicken and die? The witch and the wizard were the authors of the calamity. Did the yeast refuse to ferment, either in the bread or the beer? It was the consequence of a 'bad wish'. Did the butter refuse to come? The 'familiar' was in the churn. Did the ship founder at sea? The gale or hurricane was blown by the lungless hag who had scarcely sufficient breath to cool her own pottage. Did the river Ribble overflow its banks? The floods descended from the congregated sisterhood at Malkin Tower. The blight of the season, which consigned the crops of the farmer to destruction, was the saliva of the enchantress, or distillations from the blear-eyed dame who flew by night over the field on mischief bent. 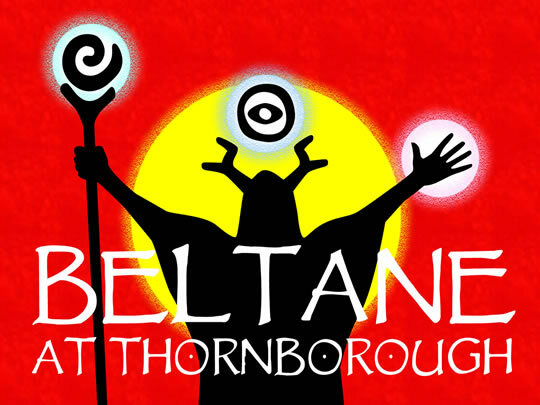 Celebrate the ancient Celtic festival of Beltane at Thornborough Henge in North Yorkshire on Sunday 5th of May 2019.